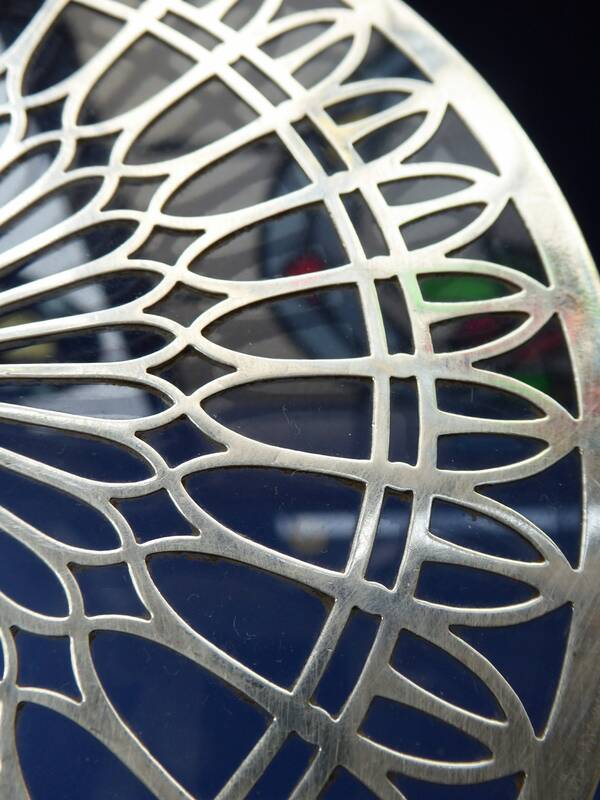 This is a very unusual piece of silver tableware. 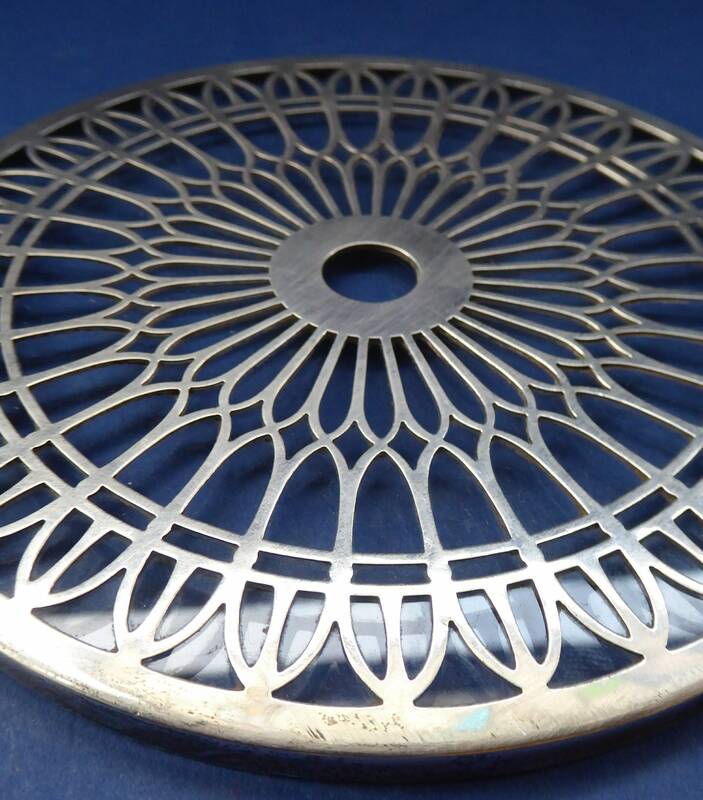 It takes the form of a large coaster which measures 6 inches in diameter. 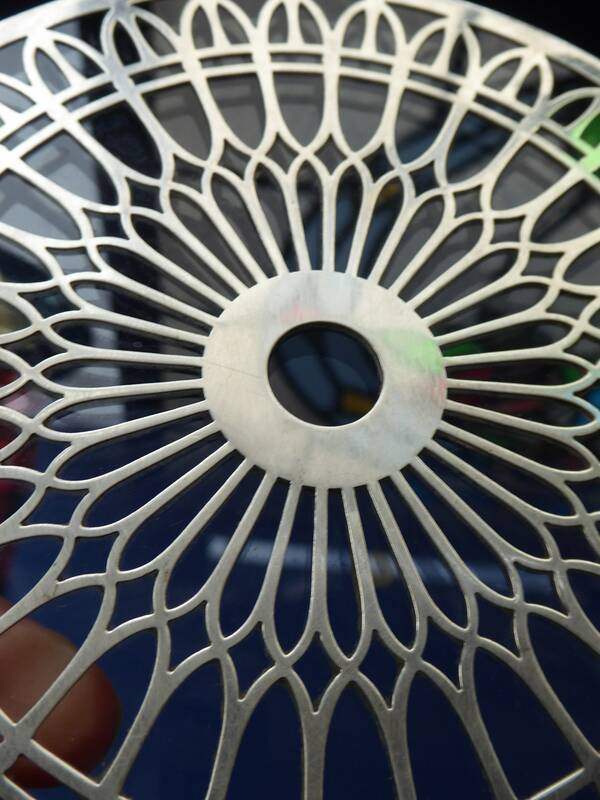 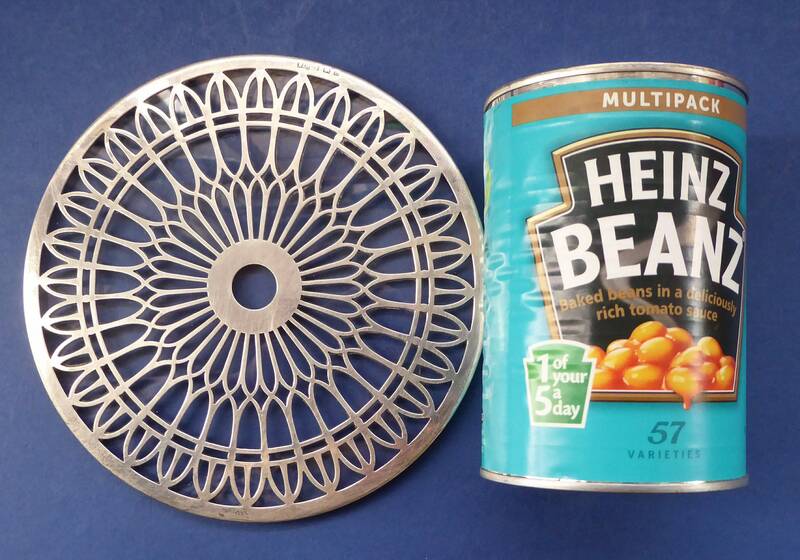 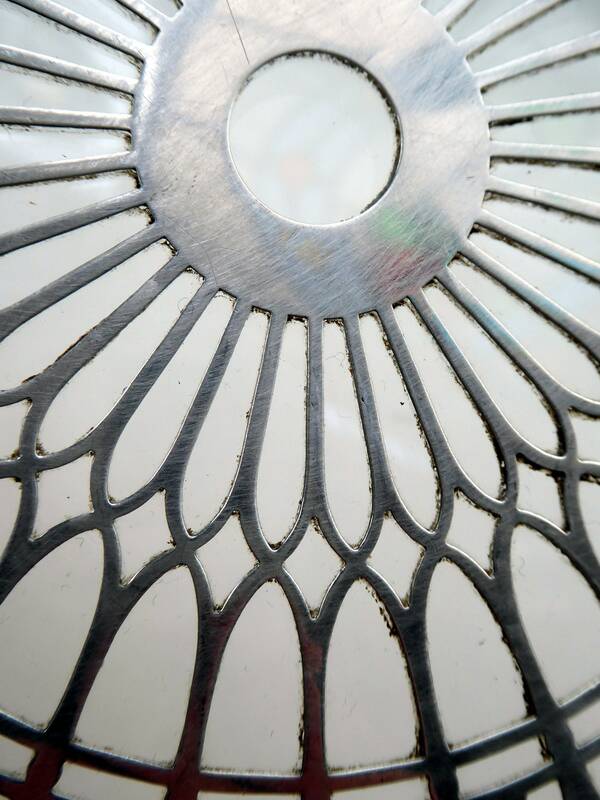 The coaster is made of solid silver by the prestigious company, Walker & Hall. 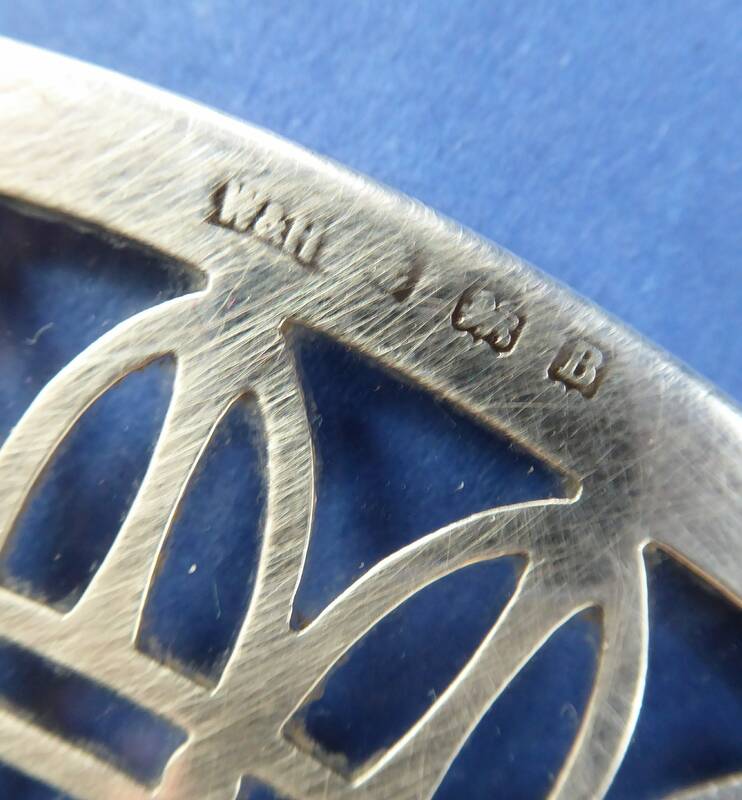 It is hallmarked for Birmingham 1926, as photographed. 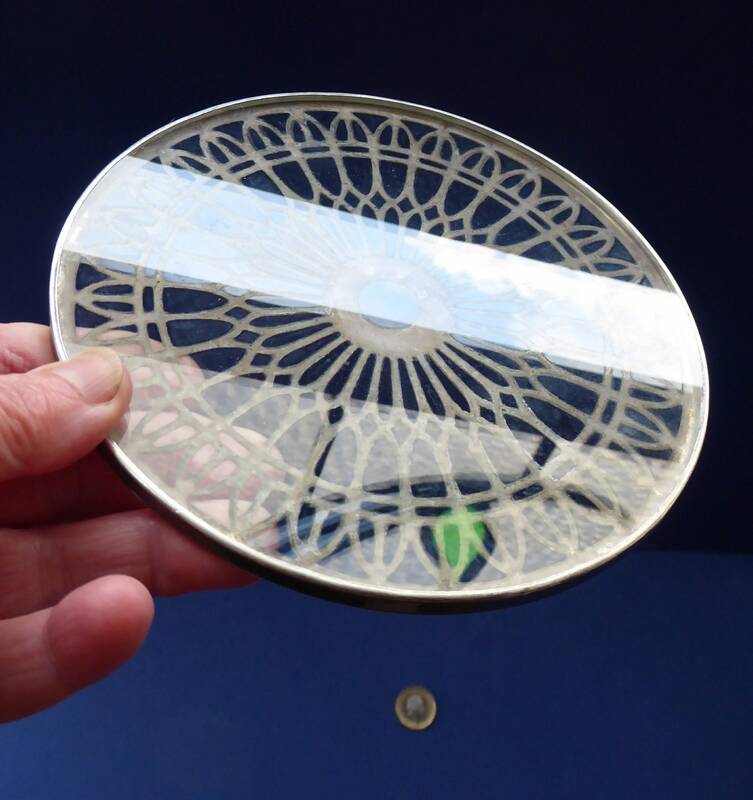 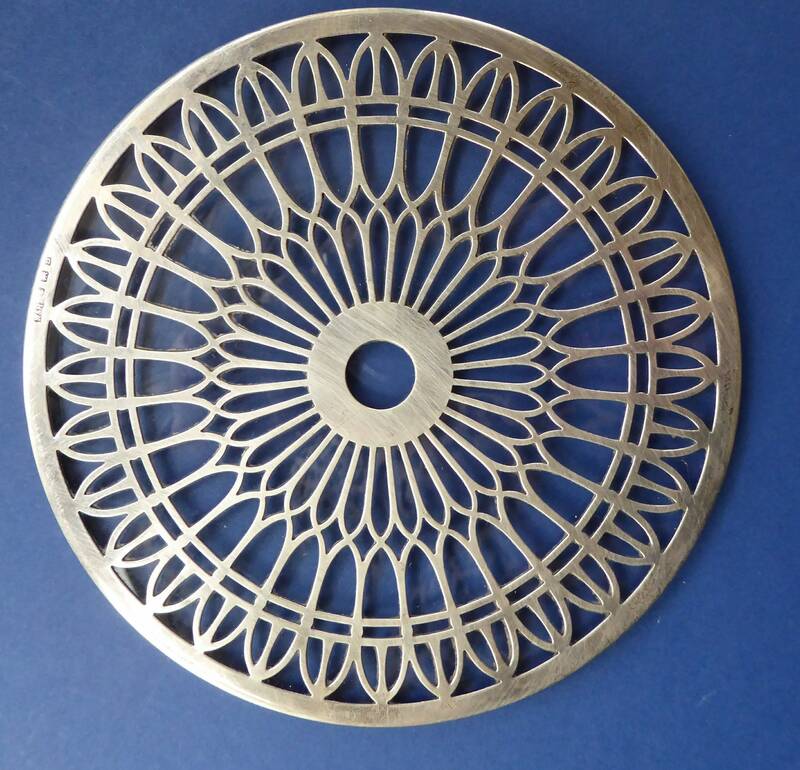 This beautifully made coaster or table decoration has a clear glass backing. 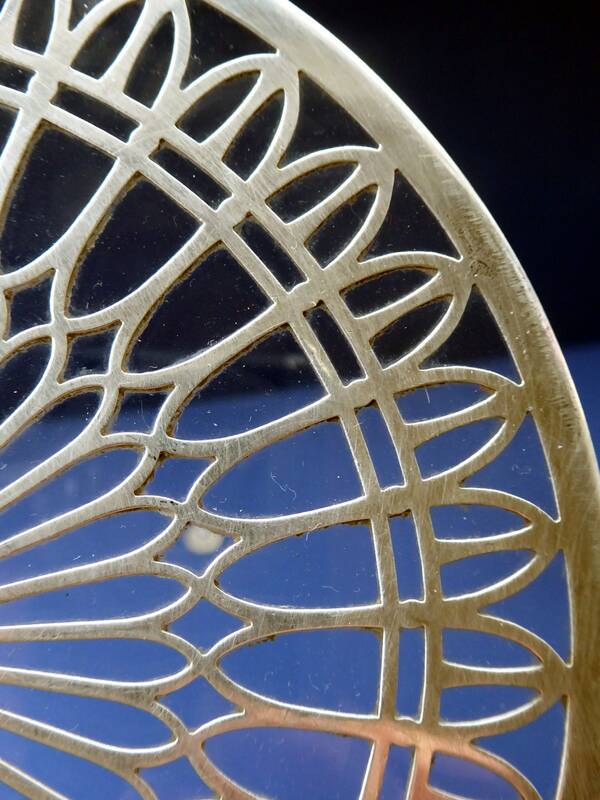 It is a lovely item and looking like a large snowflake - it would make an unusual decoration for a Christmas table. 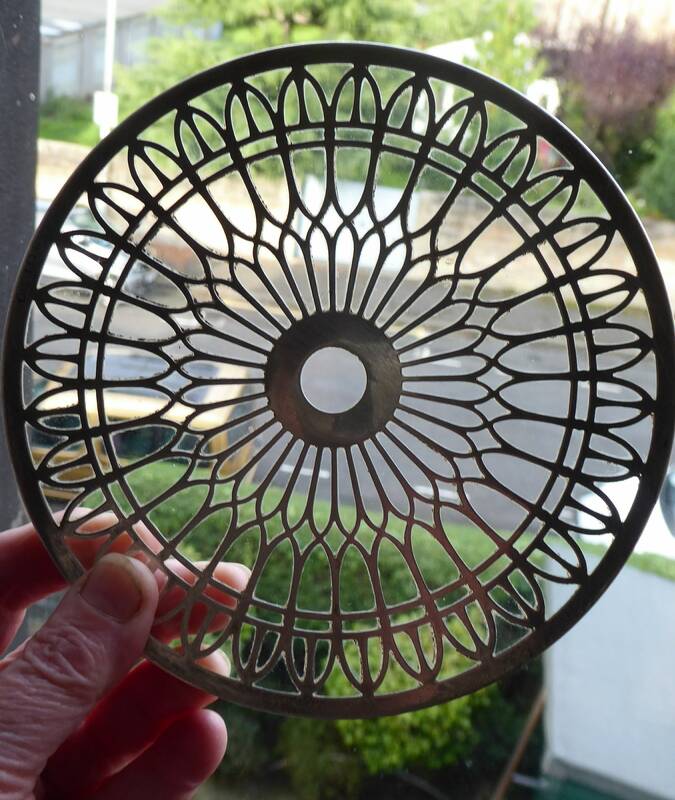 I have never seen another item quite like it - it is quite a heavy item and the silver tracery is solid in structure and not hollow.